Remember back to days of yorn, sitting in a stuffy classroom listening to a lecture you were less than thrilled about? Perhaps it was your least favorite subject and you began to daydream, thus tuning out the droning of your teacher. As your teacher’s voice began to fade far far away, you may have found yourself making little doodles with your pencil in the margins of your homework or notebook. 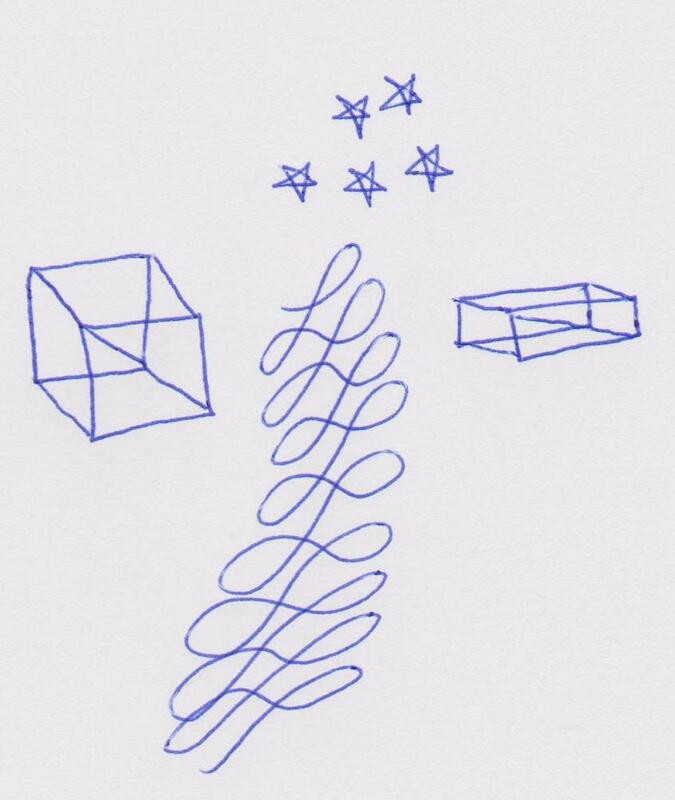 Wouldn’t your teacher have been surprised to learn that while you were dreamily posed holding your head in your hand, doodling “scribbles,” that you were actually sharpening your intellect and your analytical ability! For example, the doodles above that look like little mountain top peaks are called “push-pulls” and were seriously taught to every single one of our grand-parents or great-grandparents when they were in school! A final thought on this: Any time you consciously write with points and wedges, like in the letter m’s and n’s, or any time you do a series of “push- pulls” you are sharpening the analytical abilities in your brain, actually enhancing your thinking ability and possibly your I.Q. Don’t you wish you could have convinced your teacher of that! So the next time you are on a long conference call and you begin to doodle, just know how very productive you are actually being! See, goofing off can be very good for you. In the meantime, create your destiny the WRITE way!